Studio 39 strives to set a salon standard in Kansas City. Part of our Best practice is Due Diligence which means we are transparent in how we give information. We ask guests to do the same by reading what is offered. Our goal is to provide educated options and variables and disclosure on price. If we feel a service is not in your best interest, we will explain why. We are proud to have recognized talent that work as a team. Individual skill is part of our practice, the word “specialist” in stylists description means this is an area they excel in. The internet is flooded with salon terms that can be confusing. After doing research and reading reviews, have you ever selected a “master or senior” stylist, yet felt it did not accurately reflect their description? There a many types of stylists and salons. Casual use of founding terms is an epidemic. Now we have another term thanks to social media, “beauty influencers.” What is that exactly? It usually means someone is unlicensed and should not be attaching themselves to the regulated professional industry at all. There is a lot of misleading information about titles once earned in traditional salon settings where there was a lead stylist. Some salon owners have been stylists for only a few years and call themselves master stylists. Some salons are not owned by stylists at all, which brings to question how skill or technique is measured. We say enough. If you choose to work outside the parameter in which those terms are used, don’t use them. FACT: There is no state curriculum or requirement for continuing education to maintain a barber or cosmetology license. This means continuing education is left up to the beauty industry itself. It is often expensive and marketed by product brand’s or an individual looking to make additional income outside of a salon. Finding quality education is difficult, but if it is given by a “master stylist”, it seems more legit. However, there is currently not a clear definition established by the beauty industry of what defines a “master stylist” because this term originated in leveled salons decades ago. Though the industry is booming, stylist careers are in a decline because lack of advanced education early can limit the growth of a stylist later. Shockingly, only 8% of graduates from hair school have a career after 5 years. Titles are created, self given and vary from salon to salon. These unknown industry facts can be confusing to the public and stylists alike. Before you select a salon, know the origin of how salon titles were given so you can make an educated decision because it’s become a marketing term to get your business. The history of the professional beauty industry has many factors. A key figure in shaping modern salons was a stylist who became well known in the seventies, a hair cutter named Vidal Sassoon. This iconic leader was the first to create shape and form through cutting. He owned high end salons around the world and he believed in two key principles. Foundation of hairstyle is achieved through a haircut. Our trade is a craft, so advancement of skill is learned through mentoring. We believe both as well. You cannot blend extensions, compliment color, or keep hair healthy without cutting. Schools focus on basics to pass a State Board test created decades ago. The technique portion of testing is undeveloped and antiquated, which is why schools recommend graduates seek a salon that has a mentor training program. However, few salons do which makes makes good cutting skills difficult to find. Long before social media, booth rental, or chain salons, a salon system was created to help new stylists grow. Mentor programs with focused training taught by Master Stylist’s was the only way to become one. The most common service booked has always been a haircut. This stylist mastered cutting first and expanded color later and served as leader on the floor, teaching by example. Studio 39 Salon owner was mentored in this type of salon and continues this traditional salon practice which gives our stylists an edge because few salons in our area do this. Even fewer whose owners were trained by a real Master Stylist. We have five levels to indicate where a stylist is in their career by our standards. Many have spent their entire career here. To read more about click on their photo. Associate: A stylist who is receiving training for advanced and specialty work, available for Lumiere services. Advanced: A stylist with 3+ years, advanced training, a specialty focus- becomes a Salon Mentor. 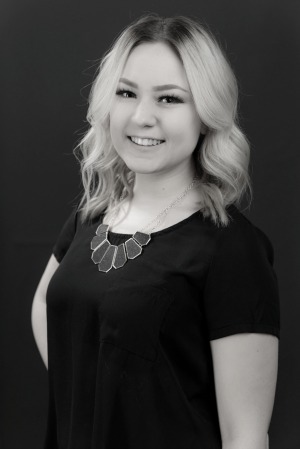 Senior: A stylist with 8+ years, multiple specialty skills, Salon Mentor & Leadership Team. Master: A stylist with 15+ years, mastered multiple focus skills, Salon Leadership. Brandy brings over 15 years of salon experience to our Lee's Summit location. She is a blonde and vivid hair color specialist who is advanced in all haircut techniques. She is professional and dedicated to providing the perfect salon experience! Sandy is an experienced hair stylist and colorist and works at our Lakewood Lee's Summit Studio 39 location. She is an expert hair cutting specialist who's skilled at men's cuts and stylish women's styles. Landon is part of our guest service team and always makes the day more fun. 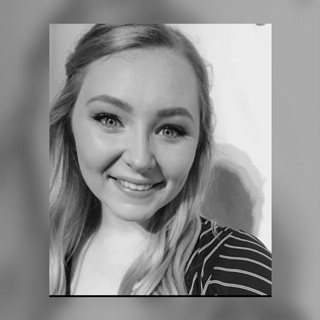 Bridget began her journey with Studio 39 in the spring of 2016. She was excited to immerse herself in the world of beauty. She was hired as part of our lobby support team while she was in esthetics school. As an esthetician Bridget exudes great talent and professionalism that shows in her passion for her skincare and waxing services. 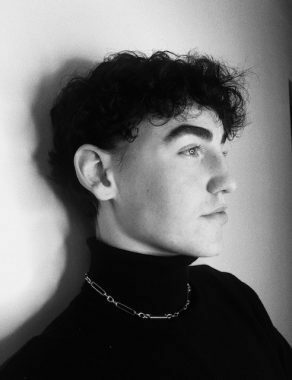 Charlise is an associate stylist with a passion for working with different hair textures. She is well versed in working with ethnic hair but came to Studio 39 looking to expand her skill set with color. Her laid back personality and sweet disposition puts a smile on everyone's face. Brielee is a developing stylist available for Lumi Services. She is Gemy's apprentice and does gorgeous blow dry, prom and homecoming hair. Book in advance for hair and makeup because she gets booked fast for prom and weddings! Sierra brings her West Coast style to the Midwest as an experienced cutting specialist! She is well versed in color techniques and highlighting. She has an understanding of balance and form with hair shape and color and listens carefully to give her salon guests what they want. 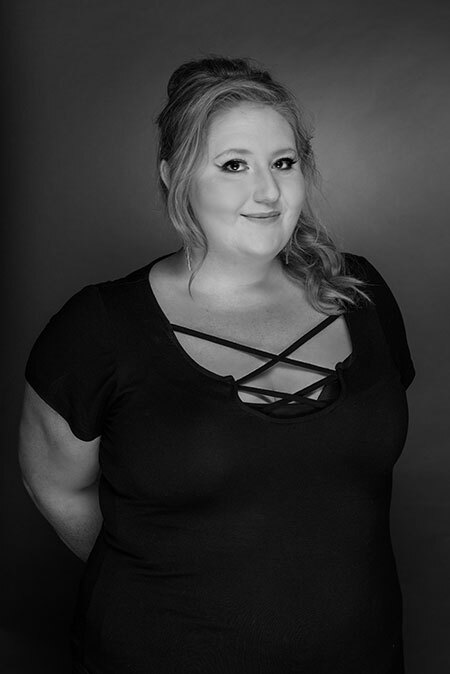 Emily came to Studio 39 in 2014 as Gemy's last full time salon assistant. This fast paced, side by side salon experience helped give her the experience to manage her own large clientele with organized grace. She has received extensive training in balayage, cut and color work and is passionate about continuing education. Morgan Is an experienced Bridal stylist and accomplished colorist. 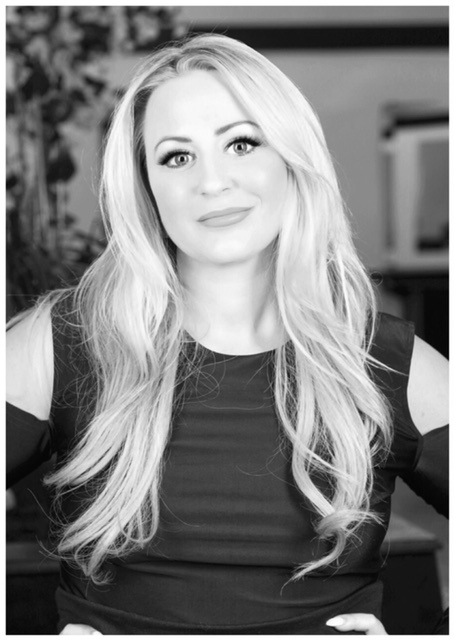 She does smoothing treatments, hair extensions, and is known for beautiful dimensional blonde and color melting techniques. This expert hair cutter can do curly hair or pixie cuts and is one of our top requested stylists. 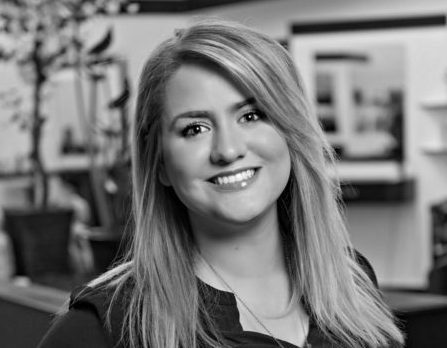 Taylen began her career at Studio 39 in 2014 as Gemy’s assistant. 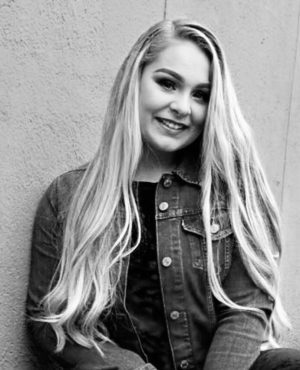 The staff instantly loved Taylen and her sweet personality made her a Salon favorite with all guests. She is a color expert and her long hair cuts are famous for their blended glamourous layers. 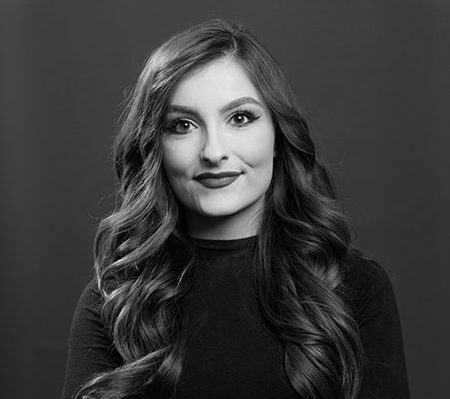 Megan was one of Gemy’s first assistant’s and has spent her entire career at Studio 39 since graduating from Paul Mitchell’s first class in 2009. In ten years this S39 veteran has accomplished more than many stylists during their entire career. She manages the salon with Gemy and helps build team leadership. Gemy is known for being Kansas City's first blonde color specialist. She is master stylist who is passionate about educating. She serves as head colorist, mentor and business manager of the Studio 39 brand.